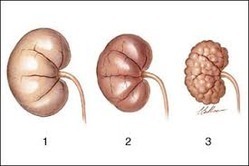 We provide research based treatment for all types of kidney disorders. 100% Ayurvedic treatment for kidney failure. Acupuncture is a component of the health care system of China that can be traced back at least 2, 500 years. The general theory of acupuncture is based on the premise that there are patterns of energy flow (Qi) through the body that are essential for health. Disruptions of this flow are believed to be responsible for disease. - Diabetic nephropathy (DN) is a microvascular complication of diabetes mellitus characterized by persistent proteinuria, decline in GFR and increased morbidity and mortality in diabetics. - This is one of the most important causes of premature death among patients with diabetes and a major health concern.